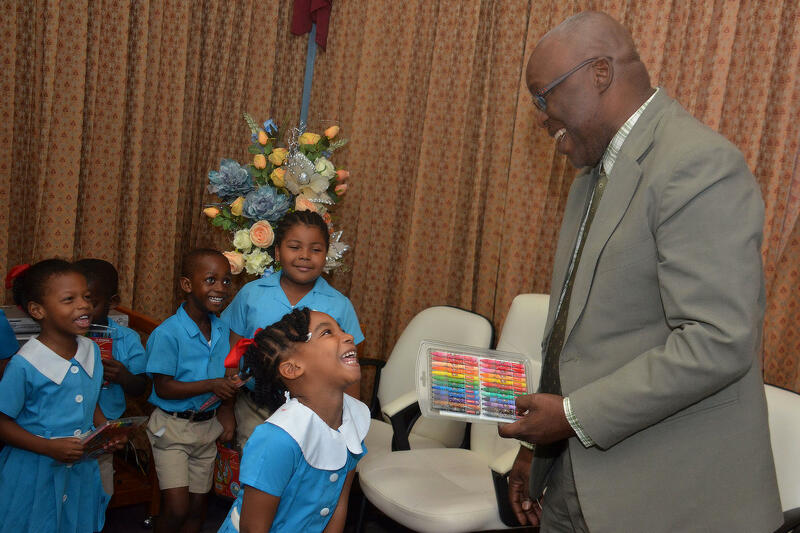 Young Kaelle Walcott, left, is all smiles as receives a gift from Chief Secretary Kelvin Charles. 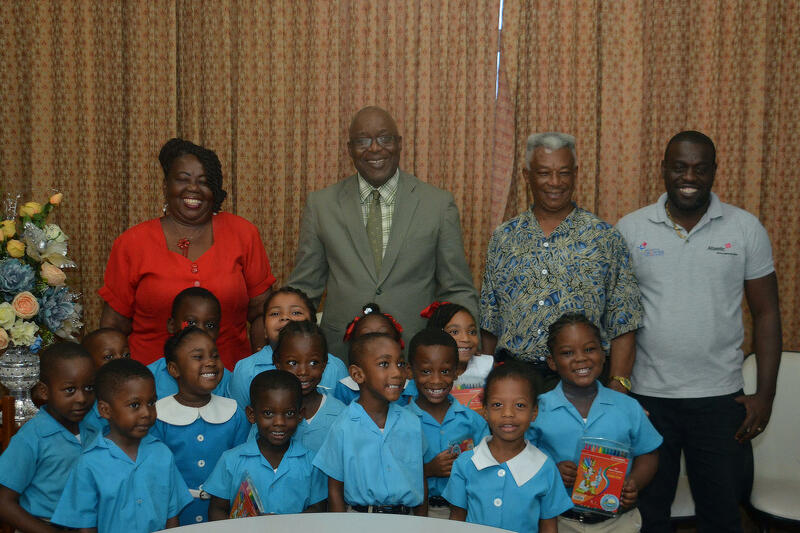 Chief Secretary Kelvin Charles, second from left, back row, stands with ABC Nursery School students, and other members of the visiting school. To his left is principal Noreen Gray-Hamilton. Students of the ABC Nursery School in Glamorgan paid a visit to the Office of the Chief Secretary earlier today (June 30), where they met with Chief Secretary Kelvin Charles. Charles, a former teacher, chatted with the young students, and also presented them with gifts during the visit.